Just when you thought you had seen every gift guide on God's green earth, I chime in with a bounty of bookish and stationery goods that floors them all. As you can tell, I'm feeling modest today! Gift inspiration is hard sometimes. I'm sure we have all had those moments of despair rushing around the shops desperately trying to work out what to get our twelve cousin fifty times removed before realising that we've completely lost the meaning of Christmas underneath our baskets of 3 for 2 products. Luckily for you guys, the folks at Abrams & Chronicle Books got in touch and asked my fine self whether or not I'd like to share some things with you and I naturally jumped at the chance. Chronicle Books happen to be one of my favourite publishing houses because they happen to be the stationery Gods to my stationery oracle. Can someone please remember to put the 'stationery oracle' bit in my eulogy, please? That would be grand. 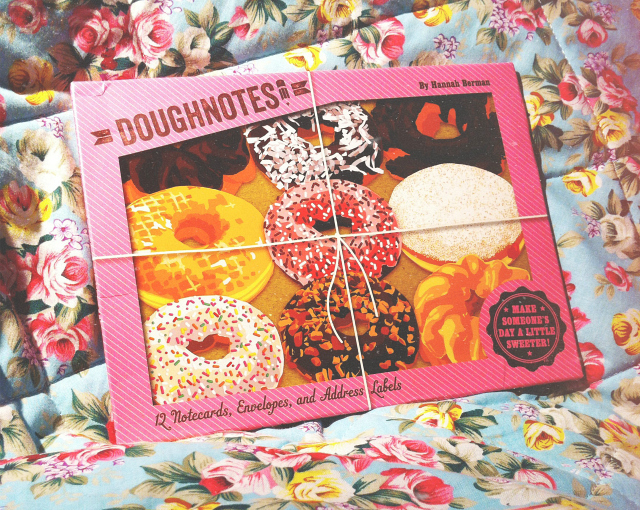 Here's hoping that this post sorts out all your bookish / stationery woes! Failing that, buy yourself some notebooks to soak up the tears! I'm full of ideas, me. 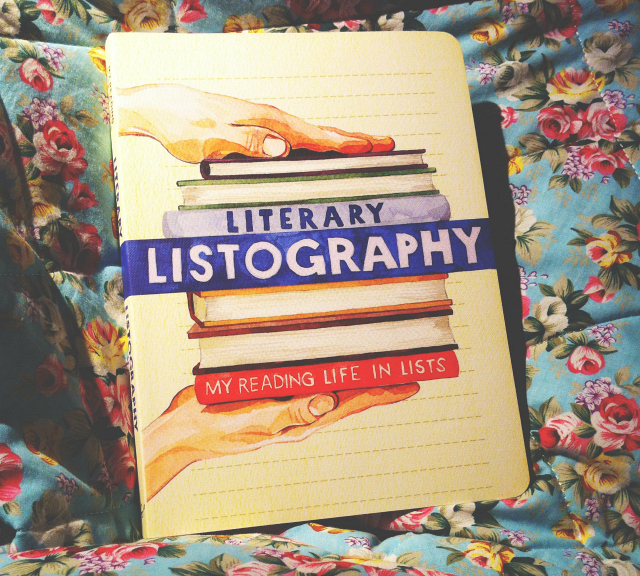 You cannot go wrong with the listography books - they're the perfect gift for avid list makers and organisation n00bs alike. If you aren't familiar with them, they're basically themed journals packed with prompts for fun and interesting lists that you can then fill in at your leisure. 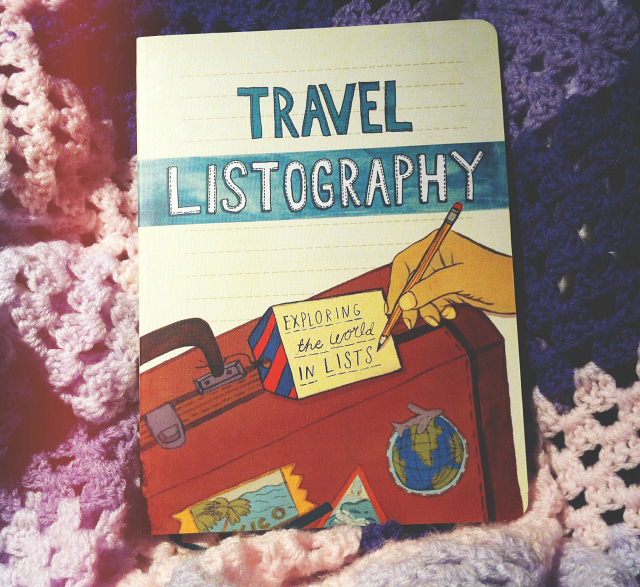 The Travel Listography, for example, has lists such as: Memorable People and Guides That I've Met, Where I'd Time Travel To and Local Weekend Trip Ideas among more conventional prompts. The one thing that strikes me about the Listography books is the quality - the paper is really thick and the accompanying illustrations are the perfect added touch. There are tons of different themes to choose from such as the Future Listography where you can map out your future plans, to the Film Listography where you can chart everything you've seen and hope to see in the future. An easy gift but a thoughtful one! Diaries are always tricky things to buy for people because you never quite know whether, like me, they buy them well in advance. However, the One Line A Day journal offers an interesting take on the traditional diary form and is the perfect present for those loved ones that always say they would love to document their days but always forget! 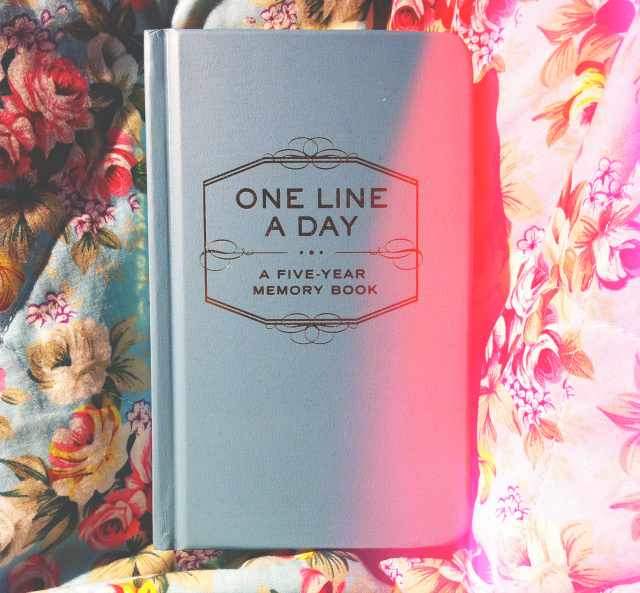 As it suggests, this diary offers you the chance to write one line about your day rather than a whole page which is infinitely more difficult and time consuming to fill out. It's also a really nice sentimental gift because it allows the recipient to look back over a five year period to see how things have changed. Handy, eh?! I've actually bought one of these myself to give as a gift this year so you can trust me on this one (and the others because I picked them all!). The only gift you need to buy Bill Murray fans this year. Basically. 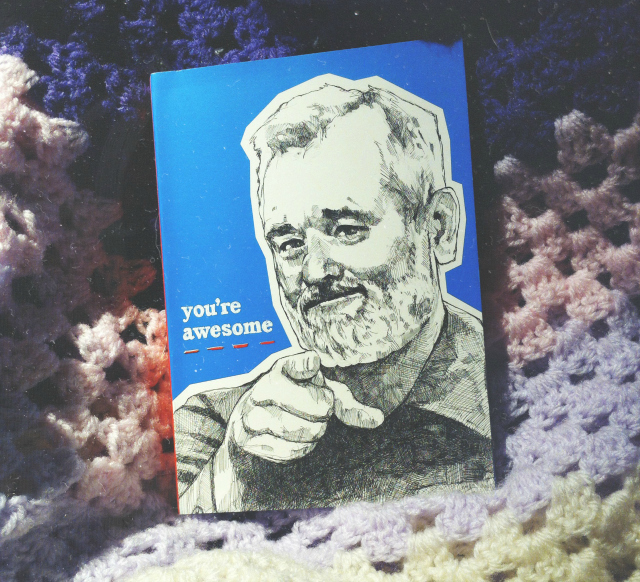 Bill Murray's illustrated face adorns each page of this notebook reminding you that you're doing great. This would make a great gift for film buffs that need a little Hollywood inspired pep from time to time. Got a friend or loved one interested in facts and behind the scenes info? This book may be a good choice! 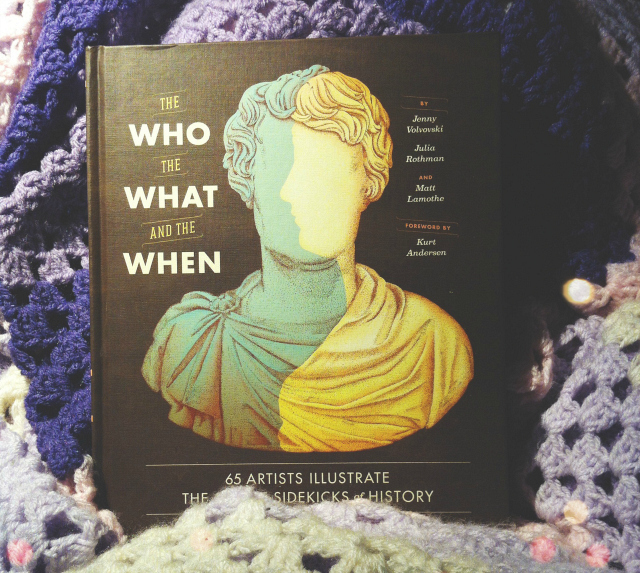 The Who, The What and The When looks at all of the 'sidekicks' behind great artists and thinkers, etc, and gives you an inside look at the people who helped to create or assist the things and people that we love today. With its beautiful illustrations and hardback cover, it makes an ideal gift. We all know someone that has incredibly weird dreams that they share over their morning caffeine fix. Why not save yourself from the weirder ones by buying them a place to house them instead?! Not only does this journal have some really cute illustrations, it also gives the dreamer lots of space to discuss what the hell happened. It prompts you to rate your dream's strangeness before asking for its theme, the characters involved, locations travelled to, how you felt and what you remember thinking about before you slept. This pack of notebooks features some really pretty floral watercolour designs that I can imagine would go down well with a lot of people. If you wanted to be extra thrifty, or make little stockings for people, you could split this collection up and give them out to a few friends. 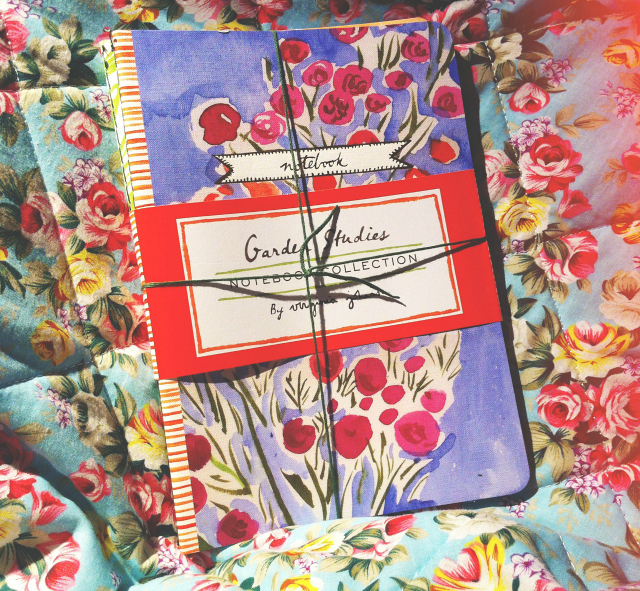 7 BOTANICALS NOTEBOOK COLLECTION BY RIFLE PAPER CO. 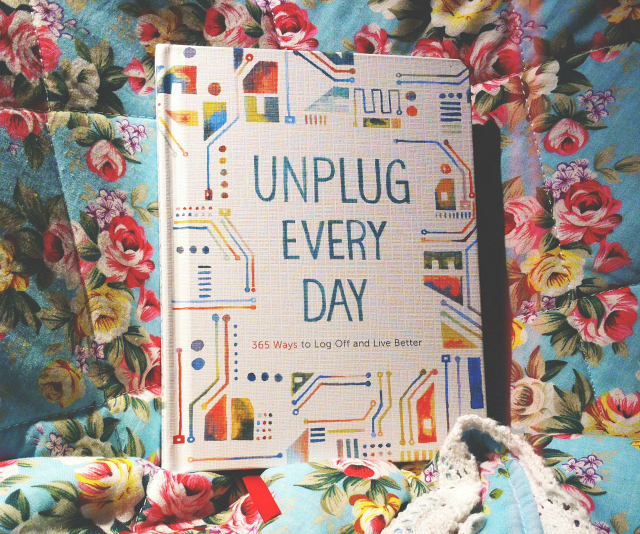 This is the perfect journal for bloggers like myself!This journal offers up 365 ways to unplug and take a break from the online world, such as 'Do Yoga' and 'Host A Clothing Swap'. I absolutely love this book. Get it for your friends that either need to take a hint or that would like a challenge. It'd also make a nice journal to work through with friends too. This book would make a good gift for arty farty loved ones that wouldn't mind pondering the question: 'What Is A Book?'. This book combines the minds of lots of different creatives to bring you an exhibition space dedicated to art and photography and essays and the like. 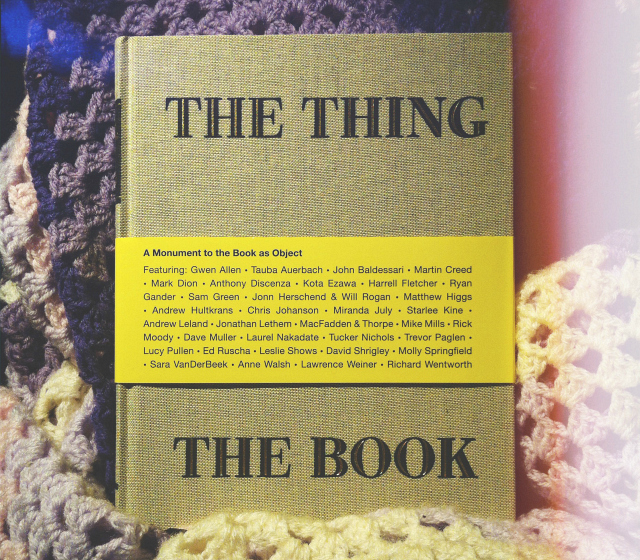 The book comes from the visual artists behind The Thing Quarterly - the periodical that comes in the form of an everyday object, and it is really quite something. It won't be for everyone, so do your research, but if you're running out of ideas for the creatives in your life this might be a good idea. I probably wouldn't send these to my Grandma but I can imagine that my friends would find this set of 12 notecards and envelopes absolutely hilarious to send and receive. 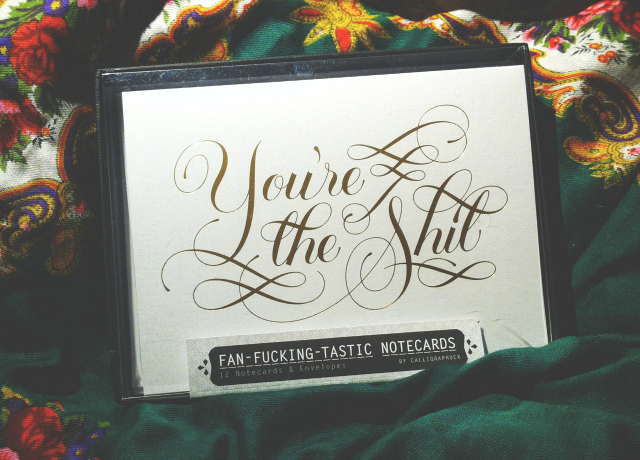 With cards such as 'You're The Sh*t', 'F*ck Yeah, It's Your Birthday', 'Fan-f*cking-tastic' and 'You Made My F*cking Day' you're basically covered for all occasions. If you've got a friend who likes novelty gifts that are also pretty practical, these are your best bet! 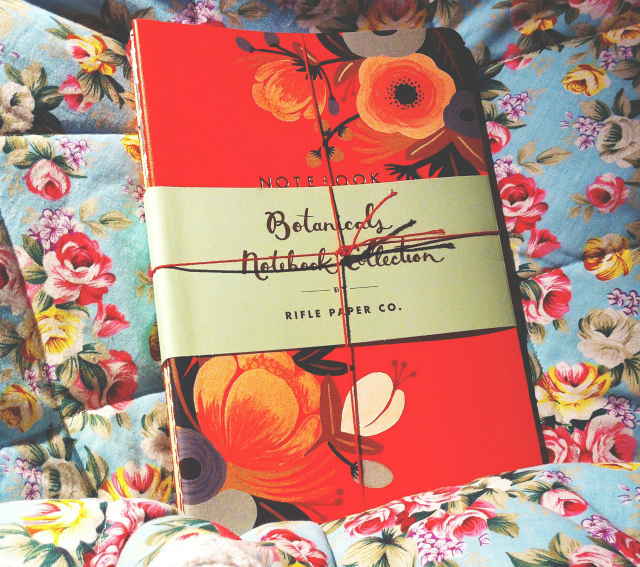 botanicals stationery collection by riflepaperco. If you're looking for a letter set that is a little less offensive that the one above, look no further than this one! Comprised of 16 writing sheets and envelopes, along with a set of labels, this set is beautifully presented and would make a great gift for people that like to take the time to write beautiful letters. Rifle Paper Co do not set a design foot wrong. I'm pretty sure my Boho Grandma would love to receive this come Christmas Day. If you'd like to scroll through all of my book blog posts then you can. Or, alternatively, you could just flick through my book hauls instead. You picked a really lovely selection of books, definitely keen to get hold of the one line day diaries and dream book now! Couldn't agree more, what a fab selection. Your photography always looks beautiful, what camera do you use? 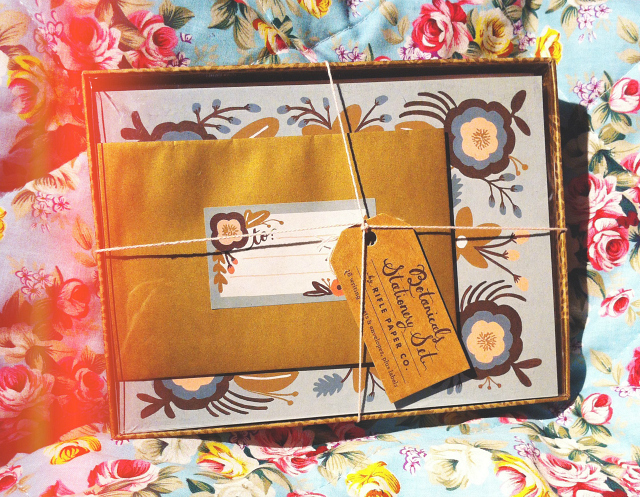 I've always wanted some Rifle Paper Co. notebooks; the designs are always so beautiful and intricate. They're almost too pretty to write in! I love all of these books, what wonderful ideas! 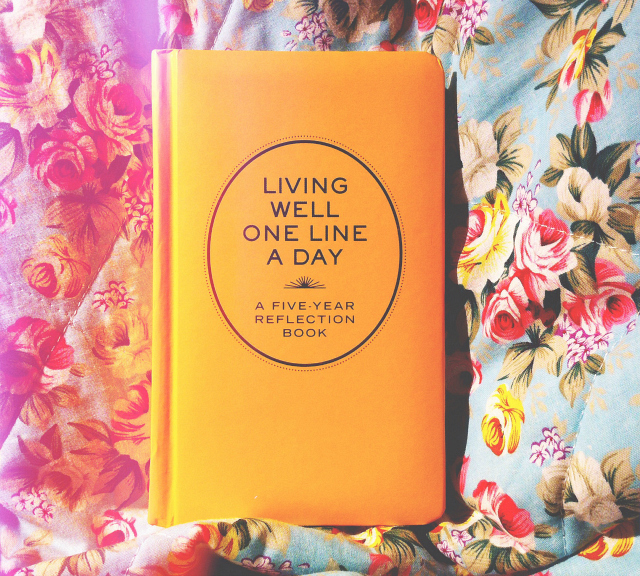 I like the Living Well One Line a Day book; that must be nice to reflect back on when it is complete. 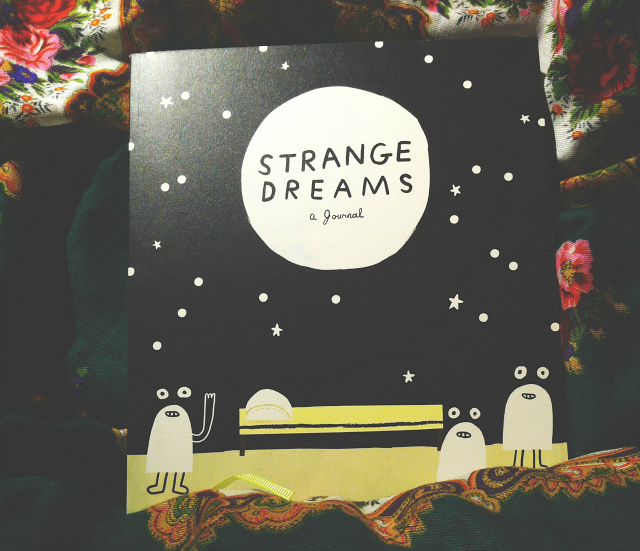 That strange dreams one would be very fitting for me, as my dreams are so far from ordinary, lol. I NEED to find the Bill Murray journal for my other half, that's fantastic!